It all started in Bologna in 1999, when the EU launched the process designed to converge national university education systems to create a unified European platform for higher education. The overriding objective was to establish a system whereby titles would be recognized by academia and the business community throughout the EU and other countries included in the project. But it has also brought the opportunity to modernize and improve the quality of university systems. It also will help to develop diversity and flexibility in the field of higher education, as a tool to meet the challenges of globalization and a knowledge society. In addition, Bologna is also designed to promote the internationalization of European institutions, mobility among students, the accreditation of studies to ensure they are pertinent, and lifelong learning. 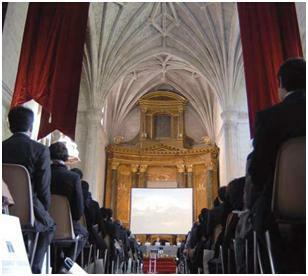 In the case of Spain, the majority of these principles, which are as basic as they are necessary, are included in the Royal Decree that regulates official university education, published at the end of October 2007. Said decree announces the indisputable objective of contributing to the modernization of Spanish universities. It embraces the unquestionable principles of flexibility in educational frameworks, and autonomy in university education in terms of design and curricular diversification. It is just as important to introduce change into teaching methodology, and to foster a willingness to offer more than content in the teaching-learning process with a view to rendering degree titles more actionable. The way our universities are opening up to international students is praiseworthy, and much-needed, because we need to internationalize the system and promote mobility among Spanish students who have become far too sedentary simply because regional offerings meet their demands. But the most innovative thing about the norm is the opportunity it brings to offer titles with a certain degree of originality. For the first time, universities will be able to break away from standard degrees which are basically all the same and where nothing (or almost nothing) is ever different. The only way to implement a reform that brings greater flexibility is to promote the transversality and multidisciplinarity of education systems, and to offer differentiated products that truly promote competitiveness among universities. Only then will universities be able to exercise their undeniable function of responsible autonomy with its inherent freedom of design coupled with a commitment to academic rigor and quality products. And it is the only way we will be capable of addressing the geographic constraints of regional educational systems which seem to tailor their studies to cater specifically for their region, in other words for a student population that is shrinking fast as a result of shifting demographics. Students must be able to choose courses that serve their interests and move among universities and centres of higher education in search of the best. The aim should be to acquire essential knowledge coupled with complementary and differentiated training that make their profiles stand out. They must learn to learn and the professor must teach them in other ways. The classic university lecture will soon be a thing of the past as interactive methods become the new order of the day. The IE University project shares the philosophy of the Bologna process and is based on the same procedures. We have often said that we want an international university, a quality institution that is innovative and offers differentiated products. We want to teach in other languages and we want to teach other things. We want to round-off our students’ education with useful content that brings added value. Management and humanities form a core part of our curriculum in all graduate and postgraduate degrees. To teach another way and with a markedly practical approach are essential objectives, as is permanent dialogue with the business community. We already deliver postgraduate programmes with these aims and outreach. The year 2008-2009 will mark the launch of the first two degree titles (BA in Architecture and BA in Communication) adapted to the Bologna Declaration, and they will be followed by others in the near future. That is why IE’s educational track record guarantees this new project, because it has always favoured the Bologna model, one way or another, even before the Declaration.